North Korea is a country with whom we’ve technically been at war since 1950. It’s a country that lost close to a million people to famine in the late 1990s. A country that prohibits its populace from contact with the outside world. International TV, travel, cell phones and the Internet are denied them. It’s critically short of food, energy, and most of the trappings of modern life. It has a nascent, and potentially threating, nuclear arms capability. Perhaps 150,000 of its citizens are political prisoners. "Why North Korea Will Not Change" is the subtitle of an article in the current issue of Foreign Affairs And, oh, by the way, as a reminder of the government’s absolute and repressive control, last week (just days after we left the country) it publicly executed 15 people, including 13 women, who tried to escape to China. Yes, this is the same country that the Philharmonic group visited in late February, a trip that was marked by an unprecedented burst of worldwide television and press exposure. It’s the same country that received us so graciously, applauded our performances and reciprocated with charming musical and dance performances of their own. Those of us who participated in this visit hope that the North Korean invitation, and our acceptance, represent a start to a process of normalizing relations. And as I discovered while there, there may be another more tangible step toward normalization that is just beginning. 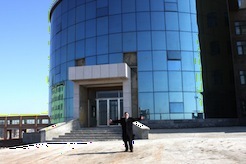 Toward the end of the 48-hour Philharmonic trip, I learned about a new university being built in North Korea -- the Pyongyang University of Science and Technology (PUST). Under construction for seven years, it is scheduled to open in September. Now, there are a number of universities in North Korea already, so what makes this one special? In the words of Elizabeth Barrett Browning, let me count the ways. The first private university: Until now, all education has been state-sponsored. By contrast, PUST has raised about $35 million, all from outside the country. Most of the money comes from Korean Christian groups – churches, foundations and individuals -- in South Korea and Korean expat communities, including the United States. English language: Courses will be taught in English. Textbooks will be in English. Another pair of firsts. Internet availability: Normally proscribed throughout North Korea (except for an occasional visiting Philharmonic group and the like), Internet access will be available campus-wide. This in itself is almost a revolutionary event. International faculty: Realizing that the requisite talent for science and technology pedagogy and lies outside North Korea, most of the professors will be recruited from South Korea and elsewhere. The majority are likely to be of Korean descent. The guiding force behind PUST is Chin Kyung Kim, or James, as he’s familiarly known. Originally South Korean, he also carries a U.S. passport and has lived and worked in Silicon Valley and Florida. About 15 years ago he started the Yanbian University of Science and Technology in northeastern China, near the Korean border. PUST is being modeled on Yanbian, which has turned out to be quite a success and has caught the attention of the North Korean government. A large part of Yanbian’s students are North Korean. The Yanbian formula – English language and multinational faculty – is at the core of PUST. James himself is, to say the least, a colorful character. He is a Ph.D economist who is deeply religious, entrepreneurial, and outspoken to a fault. This last characteristic has caused him no end of grief, and almost cost him his life. About ten years ago, because of some criticism of his of North Korean government policy, he was imprisoned as a spy and sentenced to death. Told to prepare his last will, he eloquently wrote of his willingness to die for the Korean people. It so moved Kim Jong Il that he freed James. 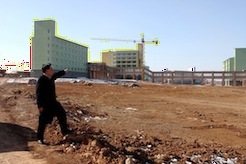 What’s more, James then got permission from the Dear Leader to create his dream university in Pyongyang. And a government grant of 250 acres for the campus. And the use of 800 soldiers to do the construction. And the permission for English-language instruction, Internet use and an international faculty. I met and talked with several other people involved in PUST. David Kim, a vice president of the university, is another South Korean with an American passport and a Ph.D. in mechanical engineering from the University of California Berkeley. Iara Lee, a film-maker of Korean descent who was raised in Brazil and lives in Iran, is on the board of PUST. She and her American husband are patrons of the Philharmonic and were on the tour with me. Iara is the one who introduced me to James and David at breakfast in Pyongyang. Subsequently, on our return, I spoke by telephone with a co-chairman of PUST’s founding committee, Malcolm Gillis. Dr. Gillis is a past president of Rice University, a former adviser to the South Korean government, and is a staunch supporter of Pyongyang University’s mission. After a May 2008 opening ceremony, the first students will matriculate this fall. Initially, PUST will have about 150 graduate students in information technology and communications (ironic, no? ), agriculture (equally ironic) and industrial management (a hat-trick in irony). Here’s a country that has little communication with the outside world, a shambles of an agricultural sector, and little industry to manage – starting a graduate school to teach all three disciplines. In a few years, they hope to reach 600 grad students and 2,000 undergrads. The initial faculty of 40 is planned to expand in four years to 250. 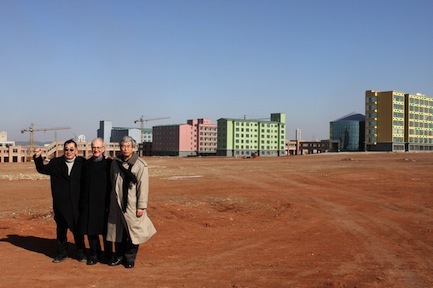 To date, 18 buildings have been built, and the campus is taking shape. There is still a severe shortage of equipment, particularly computers and communications gear. And more money has to be raised. But seeing how much James and his associates have achieved so far in such difficult circumstances, and judging also by the success of Yanbian University, it’s hard to believe that his dream won’t be realized. 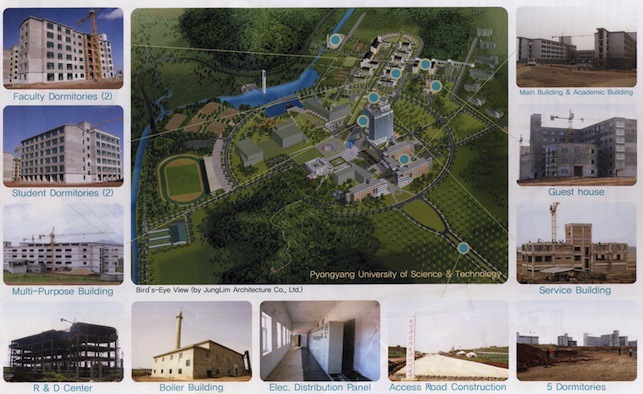 Pyongyang University of Science and Technology is unlike anything else I’m aware in postwar North Korea. It’s being built in self-interest, but has the chance to be a bridge to the community of nations. It will bestow a cadre of elite students with a window to the outside world, a window that is closed to the rest of the population. It will create a new generation of technocrats with the potential to lead a post-Kim Jong Il government. Whether this newly enlightened group can be a spark plug for modernization and a force for normalized relations remain to be seen. But it’s an encouraging start. And we have to start somewhere. In February it started with music. In September, it will be technology’s turn.